Tree of Mystery, originally uploaded by Ayala Moriel. 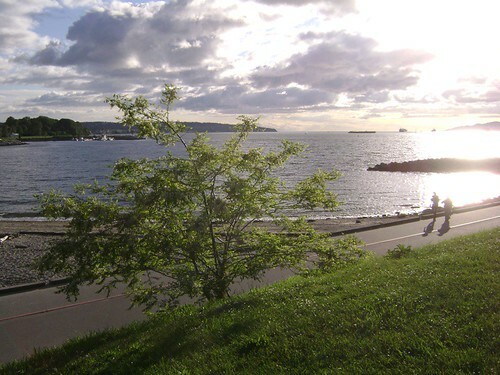 The first time I encountered this tree was in east Vancouver, near Grandview elementary school. I was amazed at how closely it resembled orange blossom, though it has nothing to do with orange. It looks as if it belongs to the fabacea (or legumes) family, just like Spanish Broom, mimosa and Sweet Pea. Mysterious White Blossom & Thorns, originally uploaded by Ayala Moriel. Mysterious White Blossoms 01, originally uploaded by Ayala Moriel. P.s. 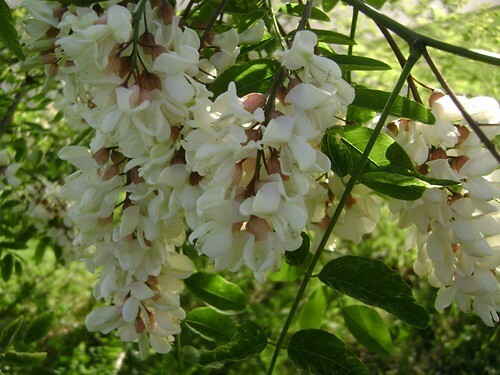 Thanks to my reader, Veronica, I now know the identity of the mystery tree: Robinia pseuodoacacia, aka Black Locust or Witte Acacia. Veronica, please email me so I can thank you properly with a mini of my mimosa perfume, Les Nuages de Joie Jaune. According to W.A. Poucher's Perfumes, Cosmetics and Soaps (Vol. 1, p. 296): "Source: Natural. Flowers of Robinio pseudo-acacia, L. Leguminosae. The absolute is obtained by extraction with volatile solvents. Possesses an intense odour of the blossoms. Chemical: Contains indole, methyl antrhanilate, linalool, benzyl alcohol, heliotropin, and trepineol, with traces of aldehydes and ketones of peach odour". Where I come from(Odessa,Ukraine) these trees are called acacia trees and they fill the wholy city with their head spinning aroma in June.I can't tell you how much I missed them here in Florida! !I haven't smelled them since ten years ago but I recongnised the flowers from your photo. Thank you for the name! You are right, it is called acacia, but it's not a "true" acacia, like mimosas are. 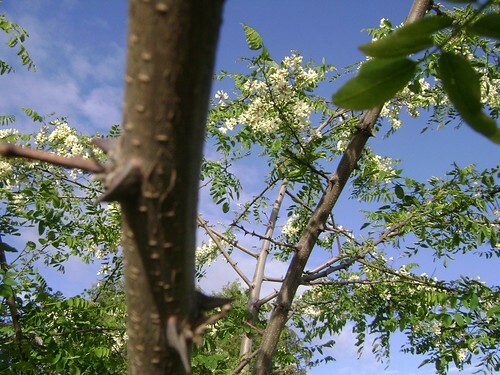 I researched a little bit more to see pictures, and it seems like the latin name for this one is "Robinia pseudoacacia" (it's also called Black Locust and Witte acacia). Veronica, please email me with your address so I can thank you properly with a mini of my mimosa perfume, Les Nuages de Joie Jaune. It doesn't quite smell like the mystery tree, but I think you might like it!